How do I edit an MOTD nnouncement? 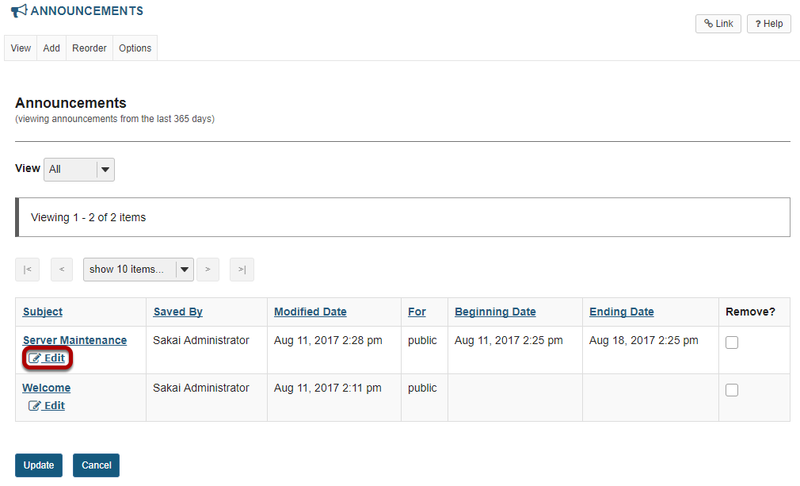 Sakai Community DocumentationSakai 12 Administrator Guide (English) Announcements (or Message of the Day)How do I edit an MOTD announcement? 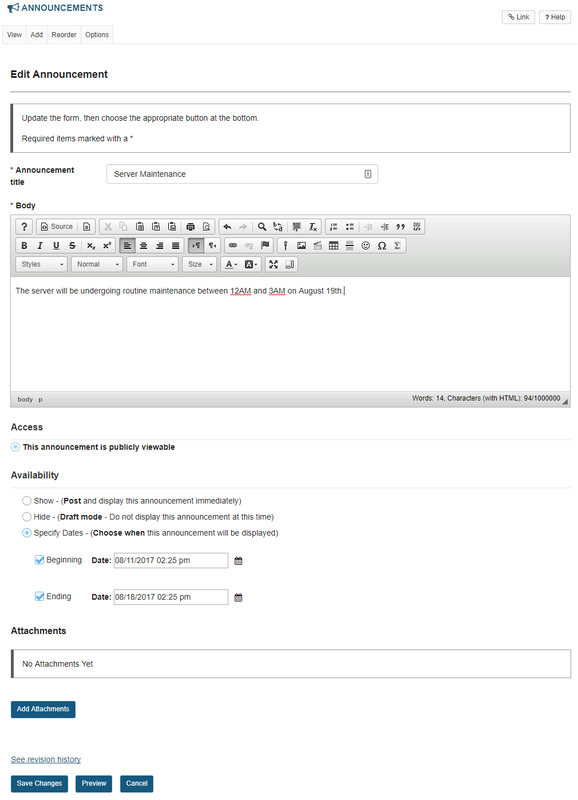 Select the Announcements tool from the Tool Menu of the Administration Workspace. Click the Edit link below the announcement you want to modify. Zoom: (Optional) View Revision History. If you would like to see information about previous revisions of this announcement, click the See revision history link. When you have finished your edits, click the Save Changes button to save your work. Prev: How do I add an MOTD announcement? Next: How do I delete an MOTD announcement?